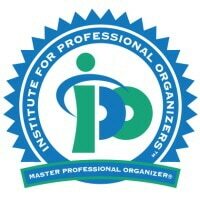 Institute for Professional Organizers™ | Become a Professional Organizer | Grow an Organizing Business. Learn from Certified Professional Organizers. You want to get your professional organizing business started fast. Begin right now with our Fast Track Method™ training program. Each layer of our Fast Track Method™ training and education program develops your skills and confidence to work with clients and Master the Business of Organizing™. Layer by layer we provide you with increased protection that your business will thrive. You will not find another professional organizer training program with our unique layered approach, comprehensiveness, and affordability. Start your Fast Track Method™ Training now! 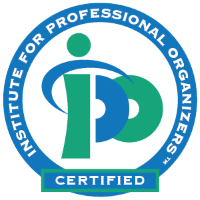 Our goal is to expediently provide you with the latest industry techniques (including our proven and easy to implement 5 Steps to Organizing® process), information, and skills that will enable you to have a highly successful and personally rewarding career as a professional organizer. Your confidence will rapidly increase after experiencing our unique two-day client practicum with a REAL client. Whether you are contemplating forming a business as a professional organizer, or are newly in business, our training and education programs have something for you! 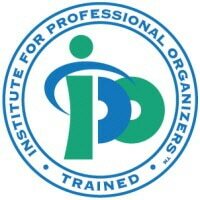 The Institute for Professional Organizers™ courses has been available internationally since August 2004. Organizers from 17+ countries have launched successful businesses through our training programs. Our Founder, Anne Blumer, is a Certified Professional Organizer®, and she is dedicated to offering the very best comprehensive training program as an affordable investment for new business owners and achievable in the shortest time possible. Anne has been working with organizing clients to realize their full organizing potential and watching their amazing transformations since January 2003. It’s been a dream come true for her, and now it can be for you! Our mission is to provide the most comprehensive and affordable training and education to individuals entering the field of professional organizing. Our vision is to be the leading resource of both business development and professional organizer client engagement training and education. Download our free Business Launch Checklist to complete what is necessary to start your Professional Organizing business! You'll also receive our occasional newsletter. © 2019 SolutionsForYou, Inc. All Rights Reserved.